please contact us at GLSportsBoosters@gmail.com, contact anyone of our Board members by visiting our Directory page above or please attend one of our monthly meetings held the 2nd Monday of every month at 7pm in the high school teachers lounge. Spirit Wear Shop - We are always looking for help to set up, sell and clean up during Home games. If you or anyone you know might be interested in joining our Board, please contact us at GLSportsBoosters@gmail.com or contact anyone of our Board members by visiting our Directory page above. 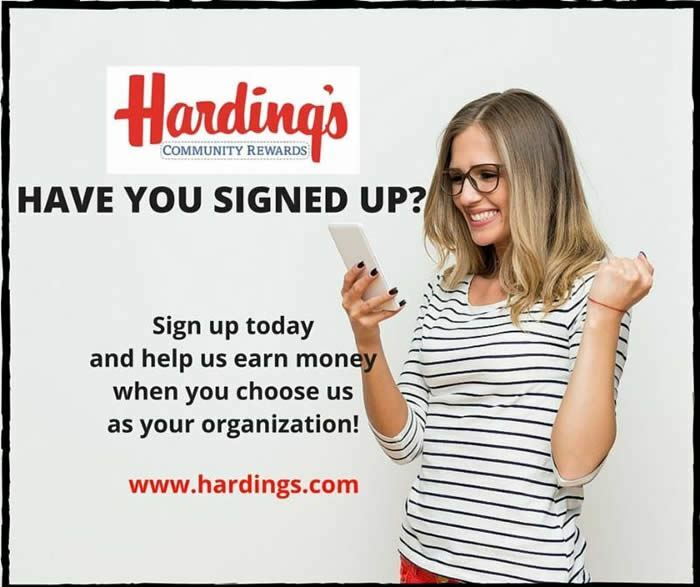 Sign up for Harding's Community Rewards today to help your organization of choice. It's easy and only takes a couple of minutes! Click COMMUNITY REWARDS and choose your organization. Click ADD COMMUNITY. You can change your organization at any time by visiting your profile page. When checking out at the register, simply type in your 10 digit phone number on the pinpad. NO CARD REQUIRED! The more you spend, the more your organization earns!